What I love about flat breads is how straightforward they can be. 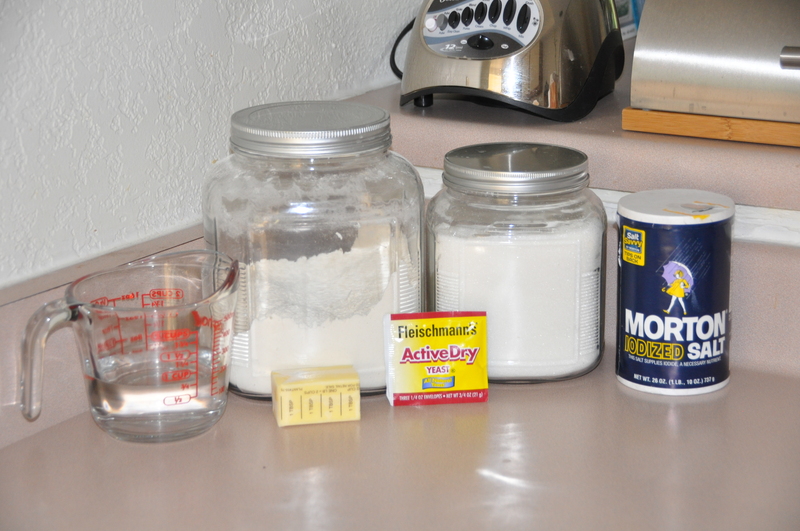 I mixed the ingredients together and then kneaded my dough. The dough took a long time to rise–almost 2 hours–and then I divided it into fourths and rolled it out into sheets. My oven racks were still positioned from when I made two sheets of Bread Sticks, so I was able to bake both baking sheets at once. I rotated the baking sheets halfway through the 15 minute baking time to ensure even baking. 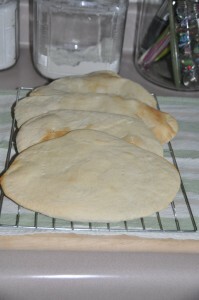 Armenian Thin Bread tastes very similar to Pita loaves–soft, spongy, and delicious–but the process for making Armenian Thin Bread is much simpler. It is an excellent bread to serve with hummus, but it also tastes wonderful plain…like the loaf that disappeared right after coming out of the oven. Note: This bread is not a very good keeper; it is best eaten fresh out of the oven.